Gary White manages the overall operations of WaterEquity, bringing 25 years of experience in sustainable innovation in water and sanitation. 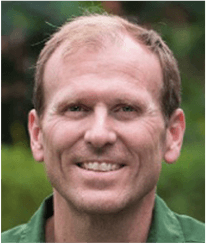 In addition to founding and leading WaterEquity, Gary is the Chief Executive Officer and Co-founder of Water.org, a nonprofit organization that harnesses philanthropy to empower people in the developing world to gain access to safe water and sanitation. (Water.org is the resulting organization of the July 2009 merger between WaterPartners, co-founded by Gary in 1990, and H2O Africa, co-founded by actor Matt Damon). He developed Water.org’s WaterCredit Initiative, creating new financing options for families living in poverty to meet their water and sanitation needs. Gary is a leading advisor in the water and sanitation space, counseling organizations such as the Skoll Foundation, MasterCard Foundation, PepsiCo Foundation, IKEA Foundation, Caterpillar Foundation, and the Clinton Global Initiative on responses to the global water crisis. He is also a founding board member of the Millennium Water Alliance and Water Advocates. Named on TIME magazine’s list of the world’s 100 most influential people, Gary has been awarded the Forbes 400 Lifetime Achievement Award for Social Entrepreneurship, named to the World Economic Forum’s Global Agenda Council on Water, and selected as Schwab Foundation Social Entrepreneur and a Skoll Foundation Social Entrepreneur. 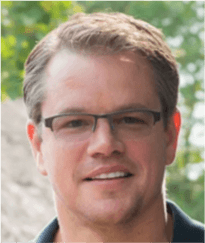 Academy Award winner Matt Damon is an actor, screenwriter, producer and humanitarian, who has garnered international acclaim for his work both on- and off-screen. Inspired during international travel with his family throughout Mexico and Guatemala as a youth, Matt has long been devoted to environmental and social issues. Learning about the immense challenges of accessing safe water and sanitation in Sub-Saharan Africa, Matt was inspired to create the H20 Africa Foundation. In 2009, he teamed up with Gary White to merge their organizations and launch Water.org, and in 2017, to create WaterEquity. For his work with Water.org, Matt and WaterEquity co-founder Gary White were recognized among TIME’s 100 most influential people in the world. He also received the Crystal Award from the World Economic Forum and the Environmental Media Award from The Environmental Media Association. Matt has become one of the world’s experts on water and sanitation issues through a decade of participation in his organizations’ work, including site visits to multiple countries, strategy development, advocacy, and engagement with institutions such as the World Bank and the World Economic Forum. "Any economy with water security has a chance to realize its full potential." "When you see the difference that water can make in a community— that feeling of pure joy— there’s nothing really that can compete with that in my day job."